There’s no question that more people are becoming interested in purchasing an electric vehicle. They are better for the environment, and the technology and design are much better than they used to be. However, there is still one problem out there: electric vehicles are much more expensive than their gas-guzzling counterparts. California has tried to change that with its electric rebate program. Currently, the state offers $2500 for new electric vehicle purchases. While this is certainly a step in the right program, there is still a gap here between electric and fuel-powered vehicle purchase prices. The California state legislature is working on ways to improve the rebate program to reflect its current goals. If you didn’t know, Governor Jerry Brown has made it his mission to increase electric vehicle adoption. He wants to have at least 1.5 million of them by 2025. Since there are only 315,000 electric and hybrid vehicles in California today, there is obviously some tinkering that will need to be done to increase adoption. While we don’t know the details yet as legislature members argue the finer points, we do know that some amendments could increase the rebate program from $2,500 to $10,000. This could make an electric vehicle just as affordable as or even more affordable than a gas-powered car. California residents who have been looking at electric cars and deciding whether or not they can afford it may have more motivation to do it in the very near future. 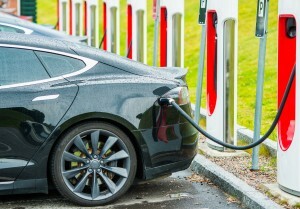 Electric vehicles often require fewer repairs and maintenance and cost less to fuel. In addition to that, the performance of electric vehicles has improved significantly. You won’t feel like you are sacrificing anything by driving an electric vehicle. Plus, they are much better for the environment. So, if you’re thinking about purchasing a new vehicle and live in California, you may want to see how the California legislature acts on this. You may be able to save big and reduce your carbon footprint. If you want to learn more about electric vehicles, we highly encourage you to check out eTags. eTags has written a few blogs on the subject, and the company offers its registration renewal services to California as well as Florida and Maryland. Have you said in the past that you were eventually going to buy an electric car but have not pulled the trigger yet? There is no better time than the present (which is true for most things). 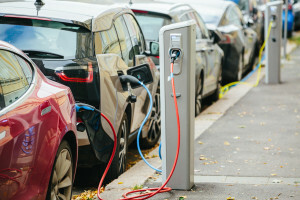 First and foremost, if you would like to know more about electric cars and other types of alternative fuel vehicles, we highly encourage you to check out this blog post from eTags. eTags is well-known for its online registration renewal services, but eTags also provides information regarding vehicle safety, shopping for new cars, and more. It Is Much Cheaper to Operate: According to the EPA, it could cost as little as $3.84 to travel 100 miles with an electric car. It might be as much as $10 in gas to go the same distance, depending on the type of vehicle and the cost of gas per gallon. While you may be concerned about the upfront cost of an electric vehicle, think about the long term savings in “fuel” and also other areas where you will be saving money outlined below. The Price of Electric Vehicles Is Going Down: One of the biggest obstacles for prospective buyers in the past has been the purchase price of electric vehicles. Luckily, as the technology has improved, the costs have gone down. You can now easily buy a new electric vehicle for under $20,000 after federal and/or state tax incentives that give you money back for purchasing an electric or alternative fuel vehicle. While Teslas may be the most popular electric cars right now, you should also be considering others like the Mitsubishi i-MiEV, Smart ForTwo, Hyundai Ioniq, Chevrolet Spark EV, and many others. There Is Less Overall Maintenance Needed on an Electric Vehicle: All you need to do is look under the hood to see how complex a gas-powered engine can be. Electric vehicles do not have an engine and are operated by a much simpler electrical system. This means there is much less that can go wrong. While a particular repair on one component of an electric vehicle may be more expensive than a similar component on a gas powered vehicle, the sheer simplicity of the build of an EV makes it a slightly safer bet when it comes to budgeting for maintenance. Electric Vehicles Are Good for the Environment: We all know that gas-powered vehicles are bad for the environment. They are also bad for us as gas-powered vehicles emit toxins into the air that we later inhale. Electric vehicles are more sustainable, and they are simply much better for air quality. This is why many states and cities have emissions checks or inspection requirements. Many eTags customers looking to renew in states like California and Maryland have to complete an inspection to assure their vehicles are emitting more than average toxic gases when they are being operated. If you are concerned about environmental impact, you certainly want to consider purchasing an electric vehicle. As the weather heats up, the risk of a car fire goes up along with the temperatures. However, hot days are one part of the equation as car fires can occur in any region at any time of the year. eTags is dedicated to helping the public understand various vehicle safety issues, and very few are as scary as a burning engine. That’s why we wanted to take a second and talk about why car fires start in the first place, so you can take steps to prevent one from happening to you. In general, car fires start because of four reasons: issues with the fuel system, electrical system, the exhaust system, and petroleum-based fluids. Problems with the fuel system occur when o-rings in the fuel injectors and fuel pressure regulators crack or wear down. This causes a fuel drip and if there is a malfunctioning spark plug wire or ignition coil, a fire could start. Fuel system issues are by far the main reason why car fires start. Other less common issues that could cause a fire include the following: incorrectly installed battery or stereo system, an ineffective exhaust system that can’t effectively remove excess heat, and petroleum-based fluids that corrode the engine. If you are concerned about engine fires, you can take steps to mitigate the risks. First and foremost, you should have your vehicle serviced based on the manufacturer’s recommended maintenance schedule you can find in your vehicle’s manual. Having your vehicle’s o-rings and fuel injectors checked after 60,000 miles is recommended as well as this is when they start to break down. Finally, if you know that your car is prone to overheating, don’t push it as this is the quickest way to cause a fire. If you see the needle teetering above the mid-point, take the necessary precaution and pull over to safety. 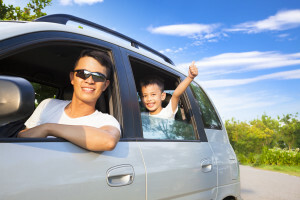 Are you considering buying a new car to debut in the warm spring and summer months? You’re going to have to put your detective and negotiation skills in high gear because you will have a formidable sparring partner against you: the car salesman. All of us have heard a used car salesman joke before. In television shows and movies, they are commonly characterized as swindlers. Now, of course, not every car salesman is deceitful. Most are honest, good people who want to sell you a good car. However, you do have to remember that car salesmen work for commission, so they are going to put in a lot of effort to sell you a car and usually a higher priced one at a higher interest rate. Otherwise, they don’t get paid. So, yes, they may have a little gamesmanship up their sleeve to get you behind the wheel of a car. eTags, a firm that specializes in online registration renewal services, recently wrote a post on its blog about some lies to watch out for when negotiating with a salesman. Don’t sign a contract before you read it: This might not even be deception. People are human, and they may input the wrong numbers or make the wrong calculations. Be sure to review the numbers and terms yourself before you sign the dotted line. Don’t think you’re paying the same price if your monthly payment goes down: Your dealer has a lot of latitude to offer a car at the monthly payment you want to pay. That’s because, he or she can just extend the terms of the contract. Of course, this means that you will end up paying more for the car in the long run after interest. Don’t buy a vehicle if the low mileage is too good to be true for the price: It probably is. Odometer fraud is major problem in the industry. It’s important to research beforehand and have a figure in mind for where the car should be priced at. Are you thinking about purchasing a new car before the end of the year? There’s no question that you might be able to save big this time of year, especially if you’re willing to purchase a current year model (dealers are making room for next year’s models). However, it’s obviously something you should really think about and do major research on beforehand. After you have looked at safety, performance, and gas mileage, you may want to consider theft rates. No, seriously. Some cars are more likely to be stolen than others, so it’s something to be mindful of. 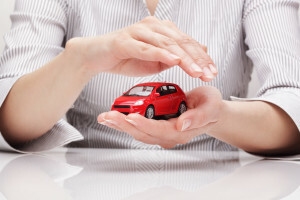 If your car does get stolen, you will likely have to pay more in insurance premiums in addition to the deductible and other costs not covered by your insurance provider. 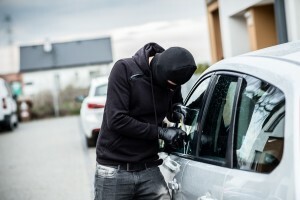 The National Insurance Crime Bureau (NICB) compiles statistics on car theft to provide motorists with the latest information on car theft. In August, it released its list of the most stolen cars in 2015. And some of the models and years might surprise you. eTags, an online registration renewal service provider for vehicle owner’s in California, Florida, and Maryland , reccomends motorists always lock their car doors and keep their windows up. They should also make sure not to leave valuables in plain sight. Finally, it asks motorists to not rely on anti-theft systems that are common in new cars. Thieves are getting more sophisticated and have found ways to hack into these systems. For greater peace of mind and additional protection, motorists can get a smart key or another immobilizing device that is not native to the vehicle. What Should You Do If Your Car Overheats on the Road? Although the weather is getting colder, this doesn’t mean that you’re off the hook when it comes to the overheating of your car. 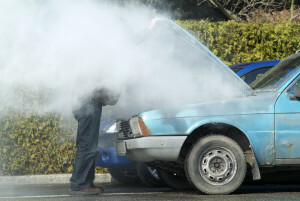 If you do not have a proper cooling system, it is still definitely possible for your car to overheat. Incorrect antifreeze/ coolant mixtures or a malfunctioning radiator or thermostat could all cause the car to overheat at any temperature. Therefore, it’s always important to get your car’s cooling system checked periodically to ensure everything is running smoothly. Pull Off to the Side of the Road If Possible: Don’t disregard a warning light that indicates a high temperature. 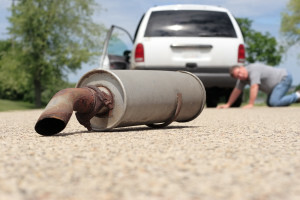 You’ll only do damage to your car if you try to maintain normal function, and you’ll lose visibility if the engine starts to smoke, endangering the lives of those in your vehicle and other motorists in your vicinity. If You Cannot Pull Over, Put Your Car in Neutral and Rev the Engine at a Traffic Light: If there is no shoulder, you might not be able to pull over right away. By putting your car in neutral and revving the engine, you’ll allow more water and air flow through the radiator. If you’re in stop-and-go traffic, avoid using the brake as this will cause your car to overheat faster. Do a Quick Diagnostics Check When You’re Safely Pulled Over: Hopefully you have coolant and water in your trunk. If your coolant levels are low or you notice a leak, topping it off with coolant or even water may do the trick. Remember that you’ll need a 50/50 mix of coolant and water, so if you only have water, you’ll need to add coolant as soon as you can. If your coolant levels are full, you might have an electrical or other engine issue that will require a tow and professional assistance. And we almost forgot: wait until the engine cools a bit before you perform any diagnostics. Learn more tips about vehicle safety, registration tips, and other issues by visiting eTags.com blog here. What Happens If You Don’t Renew Your Car Registration on Time? Let’s paint a scenario for a moment: you go into your glove compartment to grab something real quick. Your car registration drops to the floor, and when you pick it up, you notice that the expiration date is several days or even weeks past. This is more common than you think. Life happens sometimes, and it can be easy to forget these annual or bi-annual things. If you have an expired registration, don’t panic. It’s usually an easy fix especially with the availability of the internet. Some states do offer a grace period after the expiration date to provide motorists with a little extra time to renew before they are subject to any fees or other penalties. While a grace period will keep you from accumulating late fees, in most states, this may not save you from a ticket if you are stopped. If you are required to pay a late fee or penalty in addition your registration fee, that amount can vary greatly depending on the state your vehicle is registered in. The most important thing to do is renew your registration as soon as possible to make sure you are driving legally. 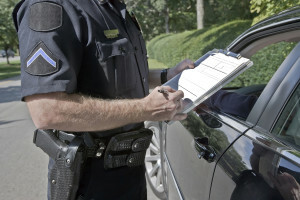 If you want to avoid fines and the risk of getting pulled over, eTags.com might be a smart option. Do you live in Florida or California? Have you had issues in the past with renewing your registration on time or online with your state agency? eTags.com can help. When you place an order online, eTags.com will allow you to renew your registration in the quickest, most efficient manner possible. No more trips to the DMV or unexplained tech issues to deal with. In addition to that, eTags.com will send you a reminder by email before your registration is due to expire the following term. That way, you can just go online and complete your registration renewal in minutes. It’s the easiest way to renew your registration on-time, every time. Shop for a Rate Yearly: You don’t necessarily have to change your coverage every year, but it doesn’t hurt to check out what’s available. eTags.com reviews various insurance providers and allows users to shop for quotes on its website. All you need to do is put in your zip code to get started. Look for Top-rated Providers Only: What are you looking for in a provider? When shopping around for new providers, consider this question and research various companies on consumerreports.org and other reviews websites. You will be able to gain information on the provider and whether or not they are rated favorably. Assess Your Own Situation: Have you recently changed jobs and now commute much less of a distance or work from home? You might qualify for a later premium. Has your credit score changed? While insurers are sure to advise you of a rate increase if you credit score drops, they may feel less inclined to lower your rate when your credit improves so it makes sense to stay on top of this yourself. Review your own situation to determine whether your coverage matches up. Should You Trade It in or Fix It Up? Unfortunately, this decision will have to be made at some point by most drivers. Even if you have paid special attention to your car and were on top of all maintenance and repairs, cars don’t last forever. There are certain repairs that may be unavoidable, such as if you have a timing belt. Typically, you will need to replace this when you hit the 100,000 mile mark. You may also need to replace the water pump around this time as well. Wear and tear happens, and if you have a high repair bill, you may begin to start wondering whether or not it’s time to replace the vehicle and trade it in. You Will Need to Start Making Monthly Payments Again: Let’s say that you are charged $5000 to put in a new engine. That’s a lot of money and would be roughly what you would need for a new car down payment. That’s just a down payment though. Unless you can pay for the car outright, you’ll be forced to finance, which means monthly payments. Do you have the budget for that? You May Have to Pay More for Insurance and Registration: If you get a new car you might have to pay more for auto insurance and car registration fees. eTags specializes in registration renewal for several states, including California and Florida. Any representative of eTags would tell you that registration fees depend on a number of factors, including the type of car and its trade-in value. Keep this in mind when budgeting. Your Car’s Value Will Depreciate the Minute It’s Driven off the Lot: Expect a new vehicle to depreciate in value by 20% or more. You’ve already experienced this hit with your current car. A trip to the DMV to Renew Your Registration. Nobody has ever said that they were going to the DMV with a smile on their face. If you don’t have the time or patience to renew your registration in person, eTags.com offers simple online registration renewal. And you’ll never have to wait for your number to be called. Shopping for a Big Party. 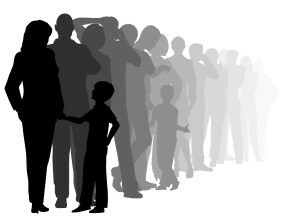 A trip to the grocery store can quickly go south depending on the crowd and what you need. Many grocery stores now provide delivery services, or you can use a freelance contractor service like TaskRabbit to hire someone to do your shopping for you. Hail a Cab without Raising a Finger: Obviously most of us have heard of Uber or Lyft, but their impact on travel can’t be overstated. These apps have enabled travelers to find a ride whenever they need it with the touch of their mobile device.